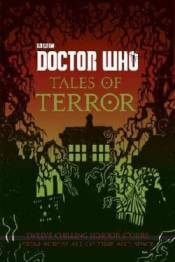 A new spine-chilling collection of twelve short illustrated adventures packed with terrifying Doctor Who monsters and villains, just in time for Halloween 2017! The six authors featured are Jacqueline Rayner, Mike Tucker, Paul Magrs, Richard Dungworth, Scott Handcock and Craig Donaghy. The illustrator is Rohan Eason. Each short story will feature a frightening nemesis for the Doctor to outwit, and each will star one incarnation of the Doctor with additional appearances from favourite friends and companions such as Sarah Jane, Jo and Ace.